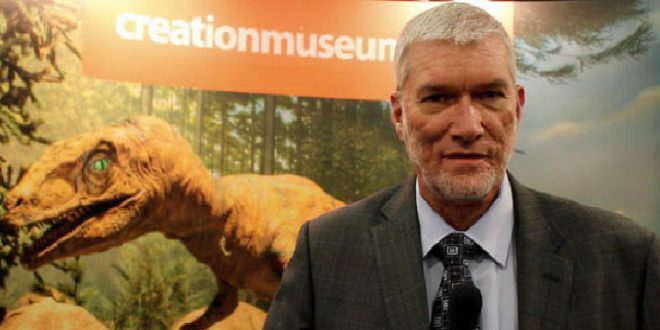 Creationist Ken Ham: Chimpanzees Kill Each Other Because Adam's Original Sin Totally Ruined Everything - Joe.My.God. Because she began with the wrong starting point—naturalistic evolutionary ideas—she reached the wrong conclusion. We don’t have a “dark, evil side” because we inherited it from some ape-like ancestors; we are sinful because we are descendants of Adam. You see, Adam, the first man, rebelled against God and brought sin and death into creation (1 Corinthians 15:22). The Bible tells us we all sin because we sinned in Adam and continue to sin (Romans 5:12). And Adam’s sin is the reason chimps can be brutal and engage in “war.” Adam’s rebellion broke creation and now everything groans, including animals such as chimps (Romans 8:22). Our world isn’t the way God made it! Creation, in the beginning, was “very good” (Genesis 1:31), but, because of sin, it isn’t any more.